Hi guys today is the day it’s the 31st of March and I have an extremely important announcements to make as to something that I’m adding to the website at onproperty.com.au I am going to be revealing what the announcement is in today’s episode but first I want to go back and I want to look at some of the history of how far I’ve come from when I started, (what was originally called cash flow investor) back in 2010. So stick with me the important announcement will be coming up and I won’t talk for too long don’t worry I won’t bore you too much. In March of 2010 I launched CashflowInvestor.com.au the way that it works what happened was I had this idea after reading Tim Ferris’s book the 4 Hour Work Week, and basically in that book he talked about micro-testing an idea, and what that means is putting up your idea online as if it exist and test and see if whether people would pay for the service or the product that you are offering. So I had the idea back in 2010 to start a membership site for specifically for people who wanted help finding positive cash flow properties in the Australia. I marketed the products for a bunch of free advertising and then also paid advertising and I actually verify that people were willing to pay a fee of at least a $100 per month in order to sign up and get access to this service. I didn’t end up going ahead and launching it at that time, because the amount of back-end work to find these properties, to vet these properties, to list the properties was just going be a bit to be too much for me to take that risk at that point in time of my life. 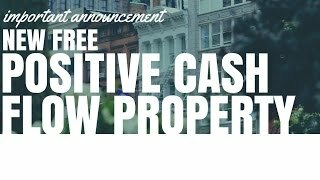 I just had a new daughter who had just been born and there was a lot that was going on at that time so I didn’t actually end up launching it, but what I did was I developed cash-flow investor and turned it into a blog platform where I wrote informational posts and how to find positive cash flow property and how to invest in property and all of that good stuff and basically over the next three year period I just added to that slowly as I had time. I was working a full-time job at the time I was raising one kid, which turn into two kids so I had a very busy life so there wasn’t a hole heap that I could add to the blog over time but over that the three-year period I added one hundred and eighty eight posts, so if you go to go to Onproperty.com.au/128 which I just finish my one hundred and twenty eight episode I talked about the hundred and twenty eight post and why that number is so important to me. But over that three year period I did those blog post I impact on the lives of over a hundred thousand people who visited the blog in that three year period and I tell you it was just such a fruitful experience, generated a good passive income for me as well as a bunch of other sites that I had and allowed me in October to move full-time into Internet marketing which is what I do. So now I run this site I run a bunch of other sites as well and my journey over those three years made that happen. All the while I always had this idea in the back of my mind that eventually I would revisit that idea of starting a membership site where I helped people find positive cash flow properties and the idea is I go out I find positive cash flow properties I list them for you and then you have all the details there, so you can do more research yourself. It’s very much a done for you service in terms of finding the property but it doesn’t add the extra layers of service that a lot of people go to which is helping you get loans, helping you inspect the property, helping you negotiate with the real estate agent, so it’s a very barebones product that serves your one need and helping you find the properties but then allows you to go out and do it yourself and that helps keep the cost down. 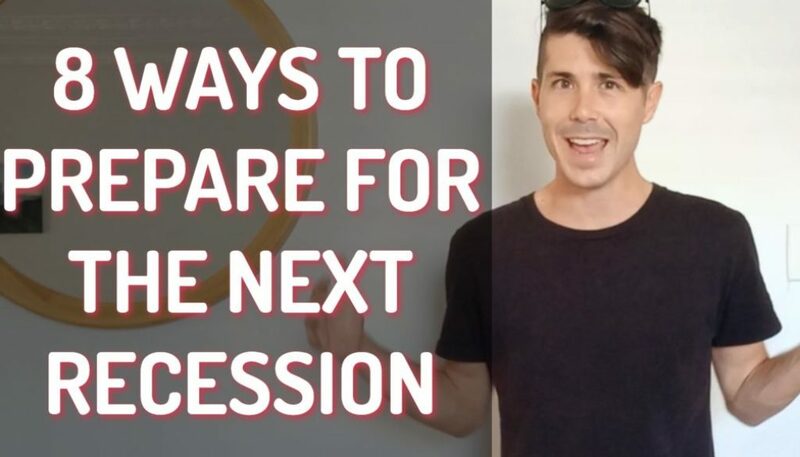 The demand for the service was definitely there and definitely is still there and a lot of people still say my biggest difficulty is I can’t find positive cash flow properties. Help me Ryan, can’t find them, where are they? They mustn’t exist, because I can’t find them. Truthfully it took me over three years from actually deciding I wanted to invest in positive cash flow property to actually be able to find my first one. So many hours searching the Internet so many hours doing road-trips with my dad at that time, because I was a teenager and just it was insane and the competition when I look at the competition out there and what you guys could go with if you wanted the service like this. We go places like cashflowcapital.com.au which is basically act as a buyer’s agent but they focus heavily on positive cash flow property you’ve got buyers agencies you’ve got Nathan Burch from Beinvested.com.au and also has a finder service that he does not really focusing on positive cash flow properties but on properties that have, you know, great potential with them and they are all great services don’t get me wrong I love what Nathan is doing with his videos and the way that he is teaching people and the services that buyers agents offer but it’s not necessarily something that is affordable to everyone. A buyers agents is going to charge you two or three percent of the sale price of the property and on a five hundred dollar property that’s ten to fifteen thousand dollars and not everyone has that sort of money to pay on a buyers agency. Again if you go to Nathan’s product then you are going to be paying hundreds of dollars per month in order to get access to what he offers and so I was thinking about it and originally I wanted to launch it for at least $100 per month, but I was more thinking around $250 per month and I was then inspired when I was on eBay trying to sell a computer, I sold a computer six times on eBay and I’ve never got paid for it and I’ve actually only just been paid once for it, so I am never using eBay again, it ‘s just been bane of my existence, trying to sell a $200 computer just, Oh my Gosh, so painful. Well I was inspired by eBay versus Gumtree and a lot of you who know Gumtree, which you can find at gumtree.com.au very similar to eBay people post classified ads but Gumtree have a free service and eBay is a paid service where they a take commission on the sales price. And I was very inspired by Gumthree and the growth of Gumtree because a lot of people are moving away from eBay and towards Gumtree to list and to sell their products and also to buy different products as well. I was inspired because Gumtree is a free service and they make money simply through basic advertising and through featured listings and stuff like that and so I thought maybe I could do something that is free or that has a premium service so some of it is free and some of it is paid for. And I thought well, if I could get volume to this product and enough people to this product well then I could really have a success on my hands. So my next idea was to list these properties and hide them and only make them accessible if people share them through social media, basically my idea was to force you guys to share these things on social media in order to get access to them and see what it was. When talking to real customers and to people who are a part of positive cash flow Academy which is the part of the email newsletter. I found out that my demographic, you know, the older generation who have the money to go ahead and invest aren’t necessarily the ones who are really active on twitter, really active on facebook, really active on Instagram, so in terms of forcing them to socially share it sounds like I would actually be up against some pretty big barriers in order to do this. So basically I am stripped of all the way and rather than making it complicated with either having to pay for membership or making it complicated and having to share in order to get access to it I’ve just decided to release it completely for free and then hope that you guys will share it with your friends if they’re looking at positive cash flow properties. 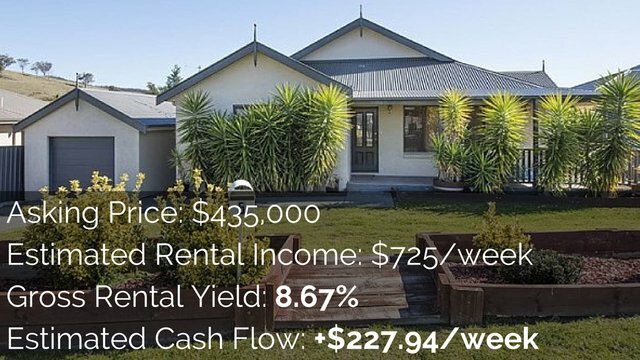 So Launching tomorrow on the first of April I am going to be listing a brand-new positive cash flow property that is on the market at the moment for three every single day. 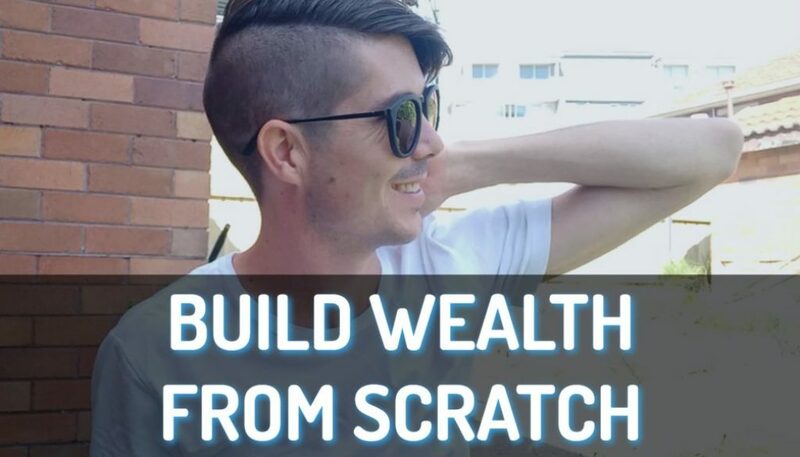 So every single day at 9 AM Australian Eastern time, so Sydney’s time I’m going to be releasing a brand new positive cash flow property. So that’s right I’ll be searching the Internet finding these and then linking up to them on the website, so if you head over Onproperty.com.au at 9 AM any morning you will see a brand-new property there and we are going to look at properties all over the country. 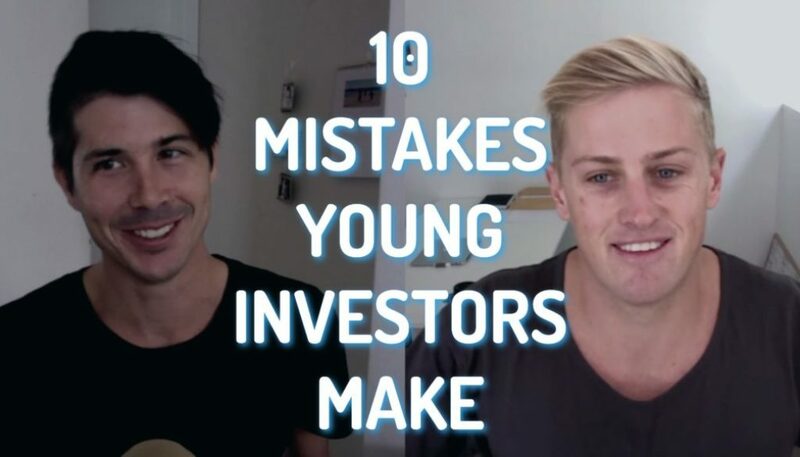 So we’ll look at New South Wales, Western Australia, Queensland, Victoria so many different areas that you can begin to see, (where can I find the positive cash flow properties!) and you’ll be able to see some of the opportunities that are out there and you can go and do more research into that area or that suburb or that specific property and there will be all the details there nothing will be hidden, I am not going to hide the addressed, I am not going to hide the real estate agents details, I’m not making any money from this at this stage I’m just listing these for you and my hope is that this will bring more awareness to the On Property brand and what we offer. 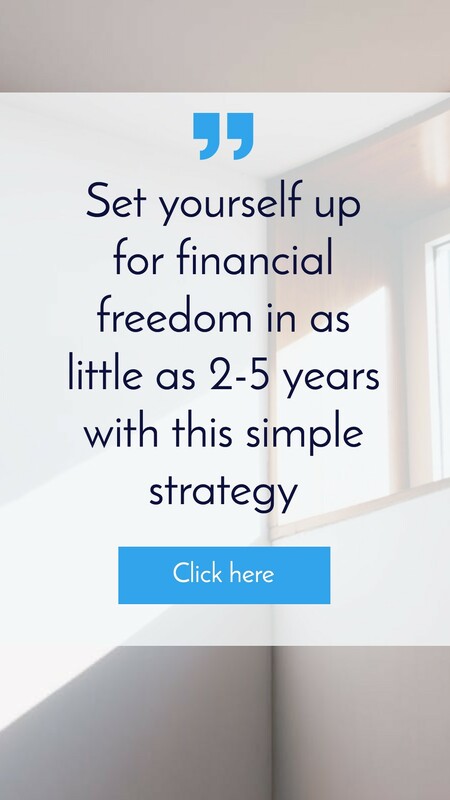 So it’s a free service guys, I’m not monitoring it at this stage obviously in the future may be something that I look at making money out of in some way but probably not charging you which is great. So again super excited for this announcement it’ll be launching at 9 AM on the first of April so you can go over there I am going to provide an option to start with which is you can email me if you want me to hide the property. so if you’re interested in that property and you don’t want the rest of the community to see it well I am actually going to allow you to hide that and that may come at a cost, I don’t know, I haven’t decided exactly what I am going to do yet. I’ll put the email form there if anyone emails me then we’ll work it out from there. So yeah, if you are interested in it and you want me to take it off the markets so no one else sees it, well than I am happy to do that for you guys, so I am going to have that option in that way I can see if anyone is actually interested in doing that. So I just want to thank you guys so much for all your support , for downloading the podcast watching the videos or reading a blog and I hope that this truly adds value to your life and truly adds value to your property search because the biggest issue I had was not been able to find the properties and so basically I’m trying to settle that for you so you don’t take three years or four years or five years to find your first positive cash flow property. 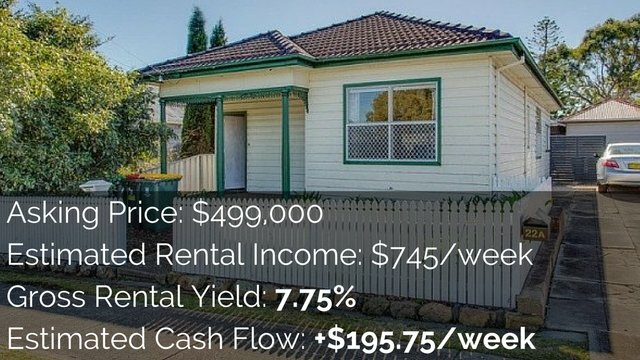 so again onproperty.com.au every day at 9 AM starting tomorrow the first of April a brand-new property will be listed. So guys, I will be back tomorrow with more educational content but also have those listings on the website as well. So remember your long-term success is only achieved one day at a time.